Image by Björn Laczay| Wikimedia Commons. German banking giant Deutsche Bank (FRA:DBK)(NYSE:DB) became the latest of the major global lenders to turn its back to coal, amid a weak market and increasing pressure from environmentalists. The decision became public last week, when all of the six members of its mining and metals investment banking team, including managing director and well-known coal banker Dan Chu, joined Jefferies Group. But Deutsche Bank stopped short of committing to a broad retreat from coal like other large banks had. The team, which was one of the most active mergers and acquisitions advisers in the mining sector last year, are now part of Jefferies’s global metals and mining group, Bloomberg reported. 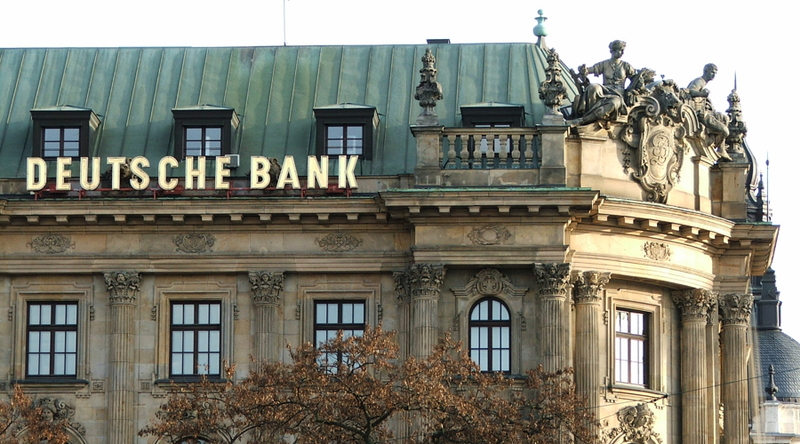 It is understood that the German bank has no immediate plans to replace the six bankers, who helped it climb last year to first place among global lenders with a market share of metals and mining revenue in the Americas. Before the team joined in 2011, Deutsche Bank held the sixth place, The New York Times reported. The bank had already said in March it would no longer finance so-called mountaintop removal projects, a method that involves mining coal from the surface, often leaving large gashes at the peaks. But it still stopped short of committing to a broad retreat like other large banks, such as Goldman Sachs (NYSE:GS), had.